Rockingham County borders Virginia to the north and Guilford County (Greensboro) to the south. Rockingham is a rural county where you can enjoy small town life, low taxes, and affordable home and land prices. 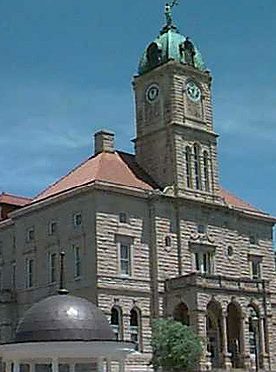 The main cities/towns are Eden, Reidsville, Madison, Mayodan, and Wentworth. Rockingham County offers an ideal climate, modern health facilities, antique shops, B&B’s, and plenty of recreational opportunities. Yet, it’s an easy commute to the Triad. A big recreational attraction in Rockingham is the Rivers – the Dan River (38 miles) and the Mayo River (l6 miles) where beginning canoers can enjoy a leisurely smooth ride with beautiful scenery and plenty of wildlife such as white-tailed deer, wild turkey, and red-tailed hawks and experienced canoers can challenge Class III rapids. If you’re interested in Rockingham County and you’re looking for a recreational/hobby farm, a home with acreage, a rural land tract to build your dream home, or a great home in one of Rockingham’s small towns, call Carolina Farms & Homes. Listing and selling rural properties like these is our specialty and niche. Give us a call.